We are delighted to publish this blog to share the work of Shama and The 515 Crew in the music industry based in the UK and working internationally. We are grateful to Shama and The 515 Crew Team for supporting us raising funds to set up a Pregnancy Wellbeing Programme. They will be performing live along with Eastern Euphony at the Beck Theatre, Hayes, London on 16th February 2019. Concert details could be found here. IFWIP Founder, Dr Raja Gangopadhyay, recently had the opportunity to meet Shama and members of The 515 Crew (including the lead musician Hinal Pattani) and was truly inspired by their dedication, hard work and passion for the music. 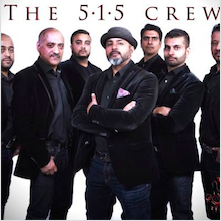 Shama & The 515 Crew are a dynamic 9 piece band who deliver the highest quality of Bollywood music in power-packed performances, bringing together influences from the Bhangra, Bollywood, Urban and World Fusion music circuits. With a highly professional approach, flexibility to deal with any audience and an equally impressive repertoire of songs, this band will definitely leave your guests wanting for more! Having had a successful band established since 1994, in early 2009 Shama came together with The 515 Crew, a young and dynamic band entering its first year although the individual members had a collective experience of several years between them. The aim was to create a new sound, bringing influences from the Bhangra, Bollywood, Urban and World Fusion music circuits; a new band with several advantages! Whilst doing regular performances, Shama & The 515 got busy writing, producing & releasing their own original songs. Apart from regular band life, the 515 Crew have also supported well known UK artists such as Navin Kundra, Shin DCS, Taz Stereo Nation, Mangal Singh, Channi Singh (Alaap) and in the upcoming weeks, will be supporting the Indian Idol finalists in a series of concerts. – Shama is the only Asian female artiste in the UK to have had not one but 2 successful long-running bands. Shama became a brand name in 1994 as she set out with the very popular Shama and Friends band, wowing audiences in South America, Caribbean, West Africa, Dubai, Europe and nationally over the UK for the next 15 years. Her second band, The 515 Crew, has been performing & producing music since 2009. – In 2010, Shama made her debut as a lyric writer, penning the words to Maahi, the very first track released by 515 Productions quickly followed by Diljaani, Baarish and Jogan. – Shama’s last single, Jogan (released July 2014) went straight into the iTunes World Music Top Ten on the first day. – Performed at the prestigious Diwali on Trafalgar Square for 4 years running due to public demand and the Greater London Authority’s request. 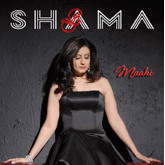 – Shama’s songs from her first album, Forever Yours (released in 1995) have been featured in the recent Liam Neeson film, Taken 3, National Geographic documentaries, Gomez et Tavarez (French Film), Coronation Street and more recently, 3 Episodes of The Real Marigold Hotel on BBC1. – Shama was featured on Geri Halliwell’s (Ginger Spice) debut album, Schizophonic. – Shama has performed with Bollywood music personalities such as Anup Jalota, Sukhwinder Singh, Nitin Mukesh, Mangal Singh.